Annually, the Alliance For Children's Rights holds a heartfelt red carpet fundraiser dinner to honor the recipient of its National Champion for Children Award and the Francis M. Wheat Community Service Award. 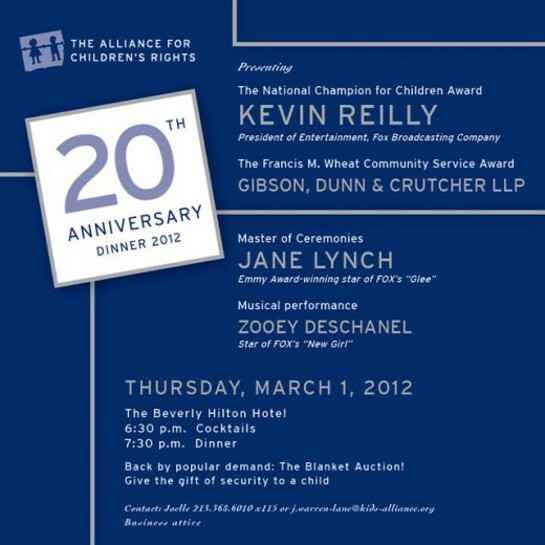 The 20th Anniversary Annual Dinner will be held this year, on March 1, 2012, at The Beverly Hilton Hotel. It is one of the city’s best-attended and highest grossing dinners – 1,000 people – including all the major studios/networks, corporations and law firms. 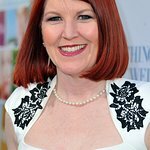 This year’s event will be hosted by Glee star Jane Lynch, with a musical performance by Zooey Deschanel. Co-Chair of the event is Irving Azoff, and the Honorary Committee includes Star Trek director J.J. Abrams. Guests expected include Hugh Laurie and Seth MacFarlane.